Kid’s cushions that glow in the dark. What a bright idea! What’s cute, cuddly and glows in the dark? A cushion! Yes, you heard correctly. But not just any old cushion, we’re talking a gorgeous handmade cushion by the creative crew at Le Petit M in France. Being a child of the ‘80s I often snuggled up at night with a Hasbro Glow Worm. Remember those battery-operated green worms with the plastic faces? Fast-forward three decades and we have something far more stylish and snuggly. 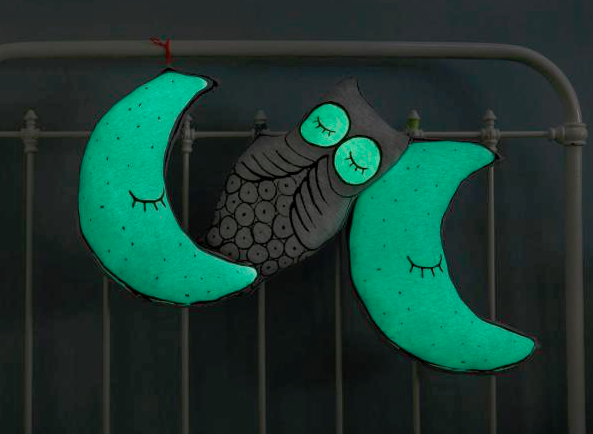 Le Petit M has created a range of glow in the dark cushions that are hip and huggable. These illuminating accessories made from soft cotton jersey can be used for play, decoration and comfort. Who’d have thought a cushion could be so versatile! Available from online store Foxy & Boops in Australia, these cool cushions would make great gifts. I can’t imagine anyone (young or young at heart) not loving a gift-wrapped ghost that glows. 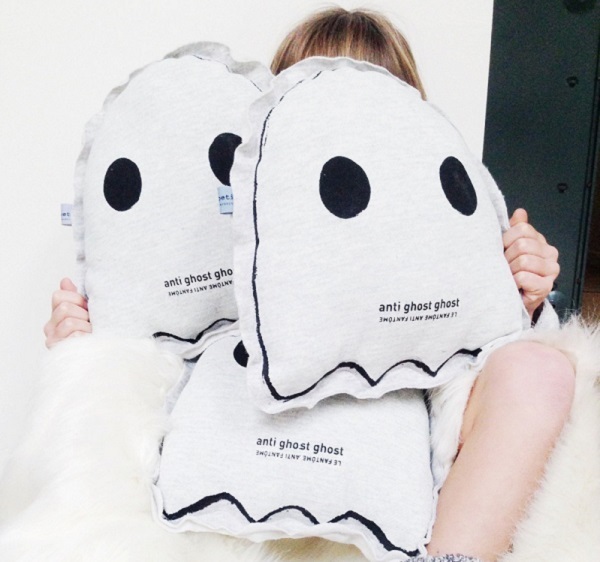 The Le Petit M ‘Anti Ghost Ghost‘ cushion is by far my little boy’s favourite. What a novel (and more comfy) take on the night light. My favourite design has to be the Light Bulb cushion as it makes a funky decorative piece in any room of the house (Sssh! I’m planning to sneak this one from my boy’s bedroom when he isn’t looking to hang in the hallway. Well, he has got the ghost!). 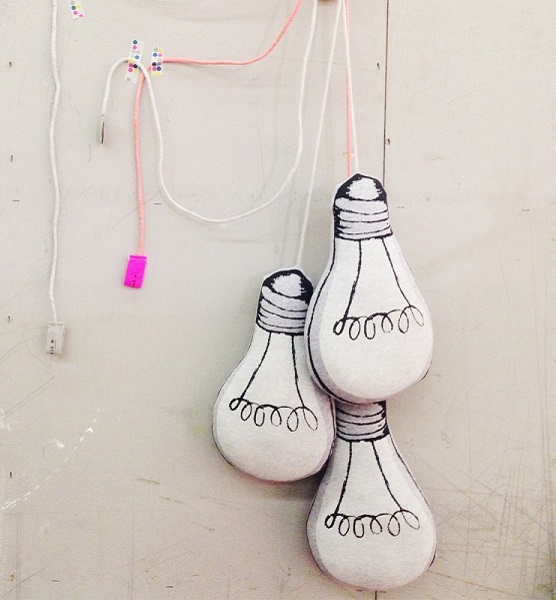 Choose from a grey or pink cord or mix it up and hang a trio of bulbs with washi tape from the wall or ceiling. Industrial chic with a soft touch. And the best part is these ‘fake’ bulbs actually light up! Talking of light, expose the cushions to as much of the bright stuff as possible during the day to get a good glow going on come bedtime. Another favourite (okay, I love them all!) 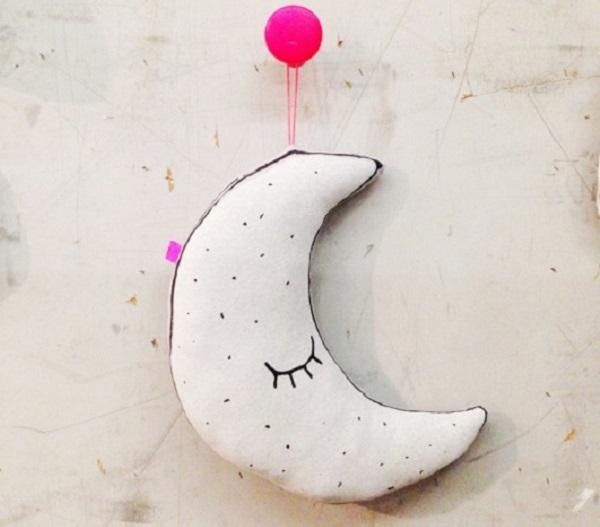 is the oh-so sweet Moon cushion – or ‘Lune phosphorescent’ to give it the French name from Le Petit M (it sounds so much more poetic in French, doesn’t it). Who could resist snuggling up to a super-soft moon with such pretty eyelashes. And it’s even more gorgeous when it glows. Available with either a pink or neon yellow cord hook. 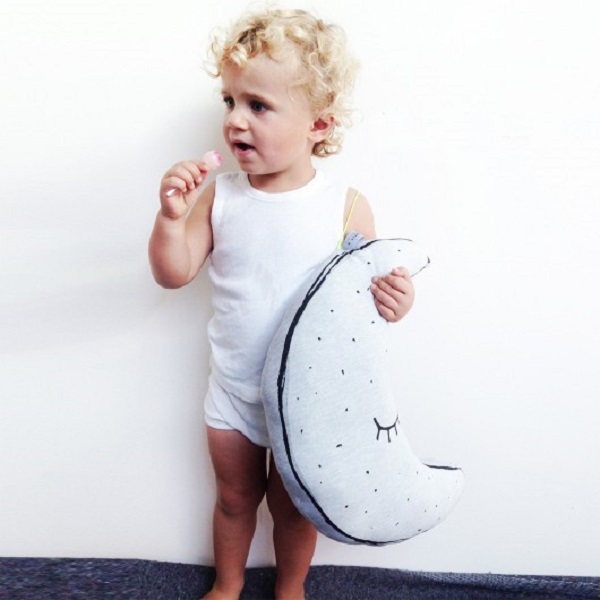 Glow In The Dark cushions by Le Petit M are available to buy in Australia from Foxy & Boops. Priced $58.95 for the Light Bulb and $59.95 each for the Moon and Ghost designs. Free shipping within Australia.